While everyone is out celebrating Mamba Day laced up in their favorite Nike Kobe Bryant shoes, Kyrie Irving decided to flex on social media for the occasion. Back in September 2017, the Nike Kyrie 3 “Bruce Lee” made its debut inspired by the Nike Kobe 5 Bruce Lee that released back in 2009. For Mamba Day 2018, Kyrie shared an unreleased version of the “Bruce Lee” Nike Kyrie 3 dressed in a Red colorway with Four Yellow, instead of Red, slash marks on the toe as a nod to Bruce Lee. 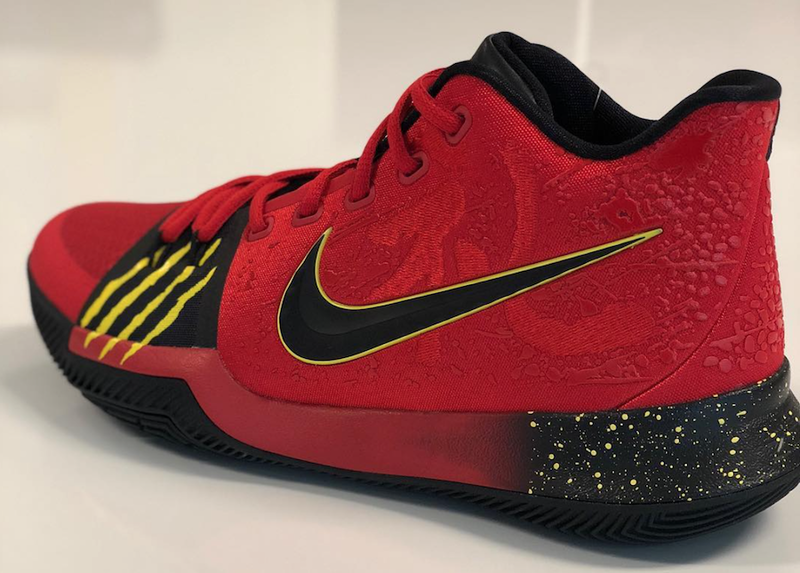 Take a full look at the unreleased Red Bruce Lee Nike Kyrie 3 below and let us know if you guys think these are better than the retail pair in the comments section.